Under and Over Swirl Diamond Ring in 14k Yellow Gold | Shane Co. While two bands of swirl mix under and over the other, 24 round diamonds, at approximately .20 carat total weight, are pavé-set for a dazzling subtle accent. 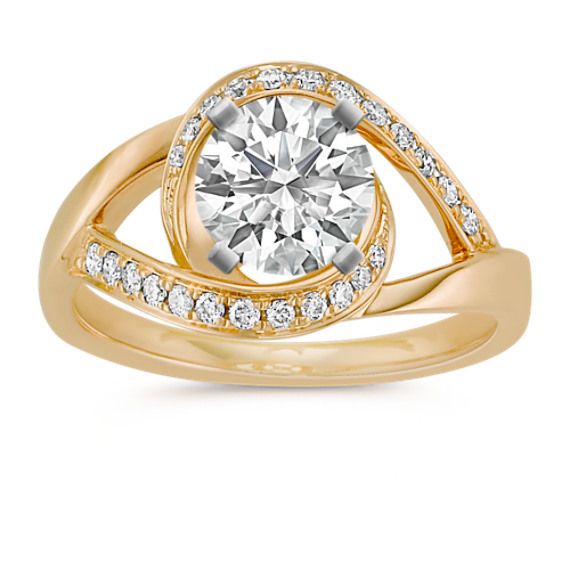 Choose the center stone of your choice to complete this ring design crafted of quality 14 karat yellow gold.